Are you confused in choosing between Fuji X100T and Fuji X70? Well, Fujifilm has been known as one of the best camera manufacturers since a long time ago, and both of these models are indeed high-quality products. Both are very popular on the market, loved by the users. However, you need to know that they each comes with differents strengths and virtues. So, what are the differences between Fuji X100T and Fuji X70? Which is the model that suits you the best? Continue reading below! Another unique strength of Fuji X100T is that it features a hybrid viewfinder system. It has an eye-level viewfinder system which combines optical viewfinder with the simultaneous display of electronic viewfinder for maximum framing control and precision. Fuji X70 lacks any viewfinder. Fuji X70 is not without any advantage, however. While Fuji X100T relies on the classical dial control, Fuji X70 comes with an articulating touchscreen display, allowing you to shoot from tricky angles more easily. Both models come with built-in Wi-Fi, flash, and microphone port. 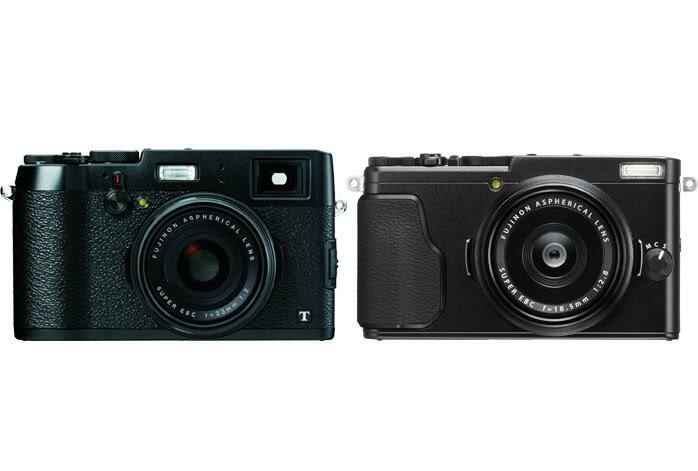 Both Fuji X100T and Fuji X70 are armed with 16MP APS-C CMOS image sensors. However, Fuji X70 comes with much higher ISO range, with a maximum ISO of 51,200. It also features 77-point autofocus system and 8-fps photo burst. However, the maximum shutter speed is only 1/4,000s. On the other hand, Fuji X100T offers an astonishing maximum shutter speed of 1/32,000s. - NEW Electronic Shutter 1/32000 sec. All in all, we recommend you to choose Fuji X100T. It is more versatile for various purposes, thanks to the superb shutter speed and excellent lens system. The hybrid viewfinder also works wonders!